 The Kent County Agricultural Society is a registered charity whose objectives include the encouragement of agricultural education and research and the holding of the annual Kent County Show. We are assisted with this by our related undertakings, The Kent Event Centre and Oak View Caravan Park. The Kent County Agricultural Society and its related undertakings keep information about its members, staff, visitors, clients and other interested parties. We communicate mainly by email and post but may communicate verbally for more urgent matters. Communications are for informational purposes, membership updates and for the promotion of our events and other associated activities. The Kent County Agricultural Society is committed to protecting the privacy of its users, however we are not responsible for the privacy practices of third party event organisers. The Kent County Agricultural Society and its related undertakings, the Kent Event Centre and Oak View Caravan Park, retain information about its members as well as visitors, supporters, officials, exhibitors and volunteers and other interested parties. Upon joining or supporting the Kent County Agricultural Society or renewing annual subscriptions, we will request certain personal details such as name, address and contact details. We will use this data for communicating with members and supporters and to enable exhibitors to attend the annual show. When individuals actively sign up or subscribe to our membership or communicate with us, they may choose voluntarily to give us certain information (for example by filling in text boxes or completing registration forms). This information requires direct action by the individual at the time in order for us to receive it. Our members have implied consent to the Kent County Agricultural Society by actively giving us their details when subscribing. In doing so, they are allowing active communication from us on such matters as stated above. You may also give us information by using our website or that of one of our related undertakings, filling in forms, corresponding with us, entering a competition, promotion or survey, viewing video content or when you report a problem. There will always be the option to opt out of future communications should members or other parties wish to do so when giving information, or at any point during our relationship. There are times when it is not practical or feasible for the Kent County Agricultural Society and its related undertakings to obtain or record consent, however this information will only be used or processed if there is a legitimate interest for us to do so, and in doing so your interests and rights as an individual are not harmed. The Kent County Agricultural Society and its related undertakings will not retain information for longer than necessary. We will only hold on to the information you provide either for as long as you are a member or until you end other relationships with us, or for 24 months in other circumstances. If legally required or if it is reasonably necessary to resolve disputes, prevent fraud or abuse or if we have a legitimate interest, we may also retain information for a limited period of time as required, even after you are no longer a member or no longer associated with the Kent County Agricultural Society and its related undertakings. You are entitled to request that any of your data is deleted from our records at any time. The websites of the Kent County Agricultural Society and its related undertakings use “cookies” to collect information about how the sites are used by visitors and to enhance the user experience. Cookies help us to make our websites a better place for visitors and allow us to constantly improve. Cookies provide non-personal statistical information about visits to pages on the sites which may include the duration of individual page views, paths taken by the visitor through the site and other general information. None of this information is associated with you as an individual. If you disable cookies, please note that some parts of the website may not function properly. We will use strict procedures and security features to try to prevent unauthorised access however, the internet is not completely secure and we cannot guarantee the security of your data transmitted to our site. Any transmission is at your own risk. From time to time the Kent County Agricultural Society and its related undertakings may need to contact those in its membership and database to make sure that we have accurate details for you. The Kent County Agricultural Society and its related undertakings will not rent, swap or sell any personal information to other organisations. Information is only shared with direct connections, such as between the undertakings within our group. It may sometimes be necessary in certain circumstances to share your data with specific third parties with Legitimate Interests where your interests and fundamental rights do not override those interests.